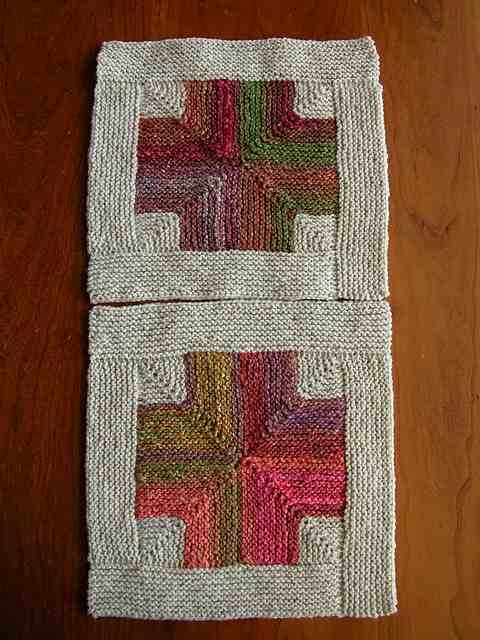 Kristin of Bend, Oregon, ravname knitonequilttoo. We welcome everybody who has cast on a Mitered Crosses Blanket–the Mitered Crosses Blanket group on Ravelry is growing fast, and you’ll already find a PhD program’s worth of insight into the very soul of making miters. Thanks so much to all the hardy souls over there explaining their philosophy of picking up stitches. I find all this wildly compelling. Kay, I love it when you come to Nashville, because you always leave something behind. That black Eileen Fisher t-shirt has given me a lot of pleasure. The test-knit dishcloth works great, five years later, despite the fact that I never wove in the ends. I have continued to feed the child you forgot to take back with you. And most recently, I totally and completely jumped on your almost-done Gaptastic Cowl, which lacked only twenty rows. That Madeline Tosh DK, doubled, was my first experience with that stuff. Good grief. It’s the purply cowl in the photo. It’s so gorgeous. And Jen Geigley’s pattern is so satisfying, so absolutely devoid of challenge, that I made another one on our return trip from spring break in Rome. I mean: I made the whole thing. I watched four entire feature-length movies, back to back: we landed, happy to be home and me QUEASY QUEASY after ingesting three skeins of Lorna’s Laces Shepherd Bulky (a buttery, brilliant yarn) and too much Russell Crowe, Angelina Jolie, Diane Keaton, and Harrison Ford. Paul Giamatti, however, could get me through at least two more Gaptastic Cowls. Love him. Sad that cowl season is behind us, but wait until next fall: double cowls! Can there really be too much Russell Crowe? I love my few experiences with Madeline Tosh. It is gorgeous stuff and the colors! It certainly takes the edge off not buying yarn to knit with the MT. Glad to know that the Madeline Tosh DK is as lovely to knit with as it is to look at, since I haven’t made anything with mine yet. Honestly, it’s so beautiful, it’s almost a work of art on the skein. Wow- Thank you so much! What a surprise. Don’t know if you remember, but I met both you and Kay at the Magical Moebius Festival in 2007. I was just looking over those photos the other day. Great times! I love how movies and knitting go together. The Hunt for Red October has gotten me through many a log cabin section. “Oh My God! I Left the Baby on the Bus!” design. I think the real test of the friendship is yet to come: That child Kay left behind: will pay the college tuition??? 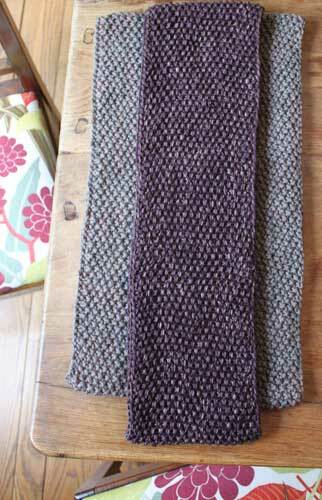 Same with me with those cowls – I ended up knitting two from handspun. And I have to tell you, a friend from Europe commented on my blog and called you guys “Mason Dixie,” which I thought was adorable. I am a cowl convert, I made one with this winter and anticipate it will warm me into May-It is still cool up above the Mason Dixon line.